The weather is gorgeous here in Florida and that means we get to spend time playing outside almost every day. It can sometimes be hard to get things for Lil Sis to play with since she is only 20 months old. Anything with small pieces or something she is too small for are all a no go and of course that makes her sad. 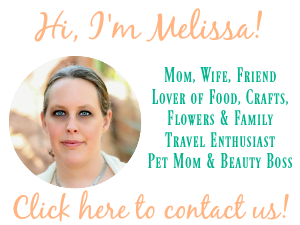 I am super excited to show you that the Free Wheelin? 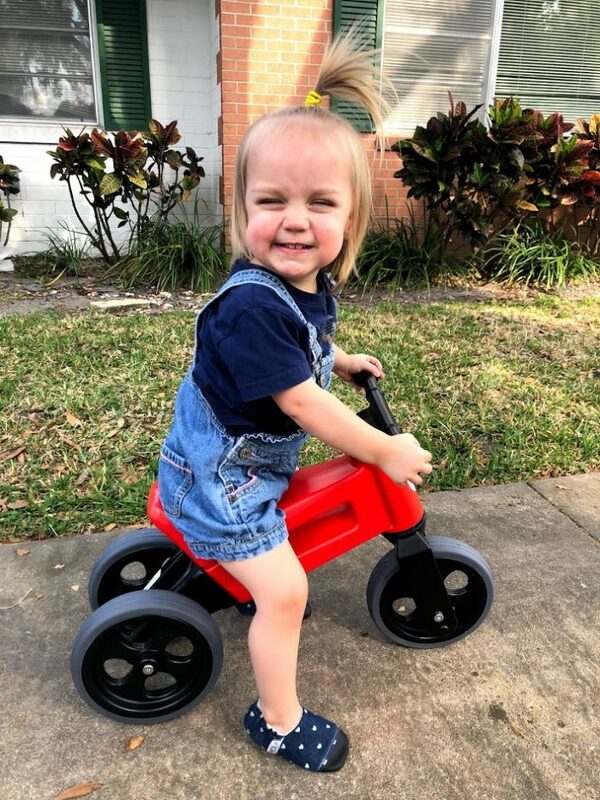 Rider Sport Convertible Balance Bike is PERFECT for little ones ages 1+ to play with outside! The Free Wheelin? Rider Sport is a new European-designed, sturdy, convertible push bike/balance bike that can be adjusted to grow with your children. It arrives with everything you see in my picture and I easily put it together in about 10 minutes. 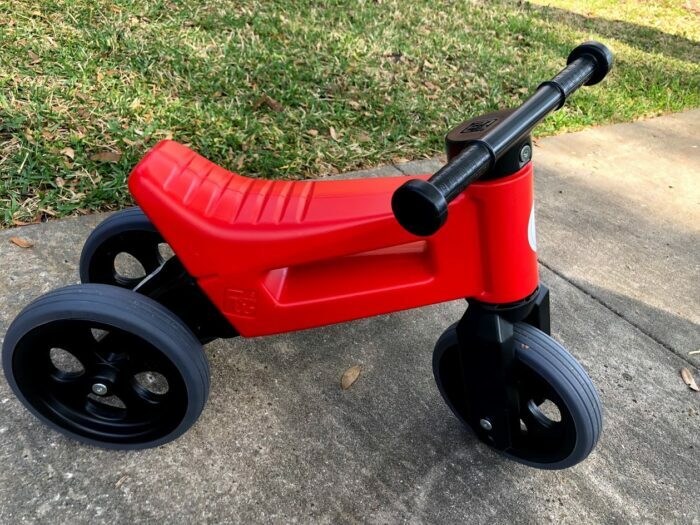 What makes this one so special is that it is extremely lightweight and you start it off with three wheels and then easily switch to two when your child is ready! The two different level height adjustment is great for when little ones have a growth spurt as well! This balance bike holds up to 80 lbs so kids aged preschooler and older can even use it! My skinny 1st grader enjoys zooming around on this around even though with her long legs she is too big for it. She still has a big smile on her face riding it though! Here are pictures of my average sized 20 month old riding on it at the lowest level. Her feet do touch the ground. 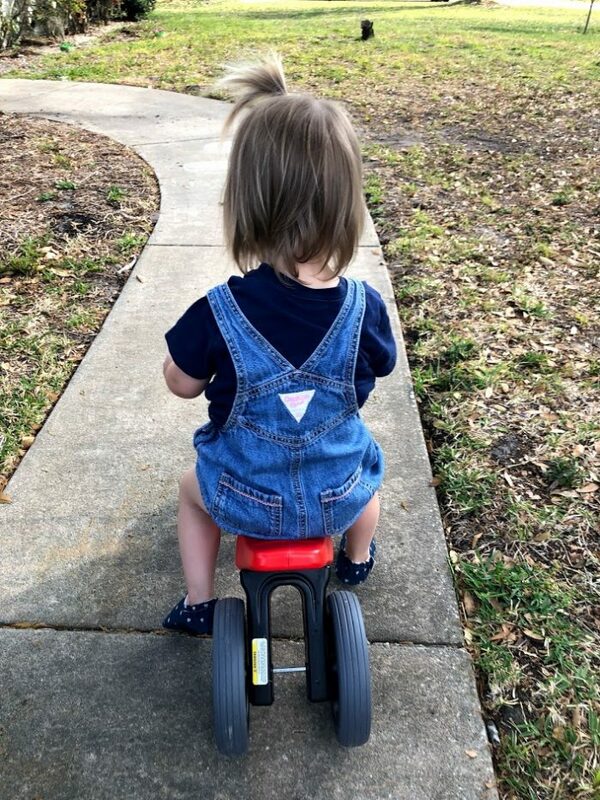 She loves her “bike” and happily scoots around on it. The wheels are so smooth this bike is good for indoors or out. 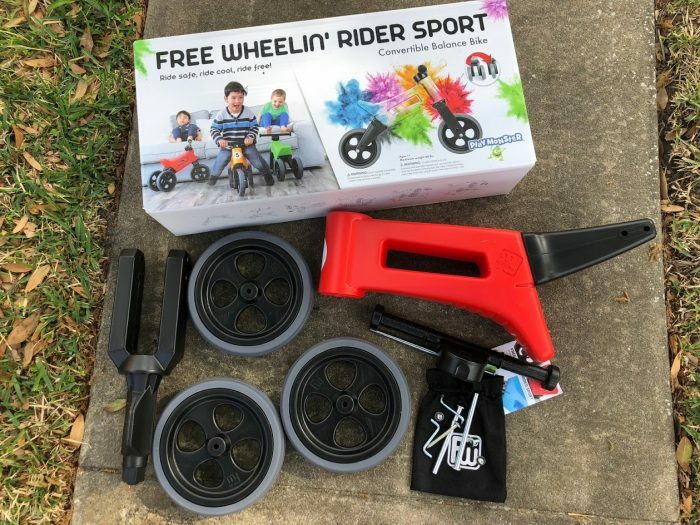 My 7 year old has ridden it several times inside my house even though Baby Sis runs after her screaming “mine.” This bike will keep little ones busy outdoors for hours and for years to come! I love a good toy that gets my little ones moving outside! You can purchase yours conveniently on Amazon. Connect: You can connect with Playmonster on Facebook, Instagram and Twitter. That looks like an awesome product. My kids would have loved this when they were a bit younger. How fun! This would be perfect for my daughter who just turned 2.